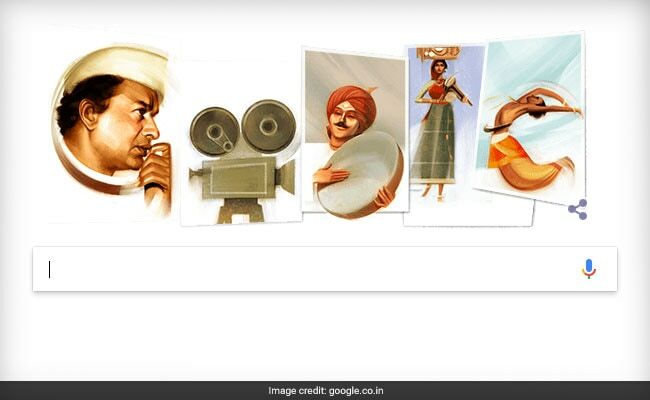 The Google doodle depicts three of V Shantaram's most popular films - Amar Bhoopali (1951), Jhanak Jhanak Payal Baaje (1955), and Do Aankhen Baara Haath (1957). Google doodle honoured film director Shantaram Vankudre on his 116th birth anniversary. New Delhi: Google doodle on Saturday honoured Indian film director Shantaram Rajaram Vankudre, popularly known as V Shantaram, on his 116th birth anniversary. The Google Doodle depicts three films produced and directed by V Shantaram - Amar Bhoopali (1951), Jhanak Jhanak Payal Baaje (1955), and Do Aankhen Baara Haath (1957). Rarely has the cinema - Indian or international - seen a filmmaker as complete as V Shantaram. V Shantaram, who began his career doing odd jobs in the Maharashtra Film Co owned by Baburao Painter at Kolhapur, has won numerous national and international awards in his career spanning over five decades. In his lifetime, he produced 92 films, directed 55 films and acted in 25 films.